Advancement in medical and surgical technology has significantly improved patient outcome for the past decade. 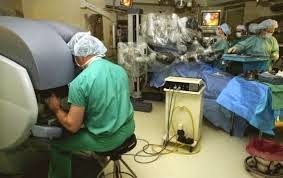 But this didn't come easy specially for the preoperative personnel, the backbone of any surgical procedure, the arm and the leg of the surgeon in and around the sterile field, providing technical and physical support to get the case going from pre-op, intra-op to post-op. The preoperative department is a complex arena, with its inherent tight rope, delicately balanced assigned responsibility between gathering needed supplies, setting up complicated and expensive medical/surgical equipment, maintaining the sterile field, filling paper works and documentation; which you have to do not just once but over and over again all through out your shift, can become overwhelming and strenuous for the preoperative personnel whom on top of it all is also expected to deliver only the best patient care in a fast paced controlled environment.